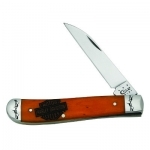 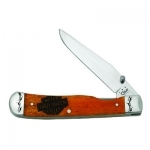 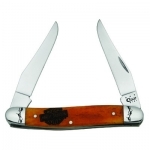 There is no better way to show your love for the open road then with a Case knife that has Harley-Davidson® all over it! 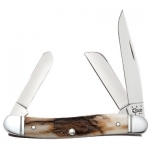 The natural ripple pattern of this curly maple handle gives it a threedimensional effect, an unexplained natural phenomenon. 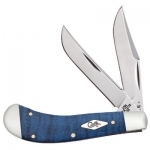 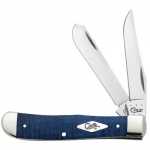 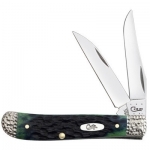 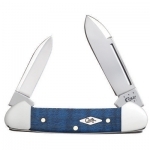 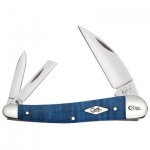 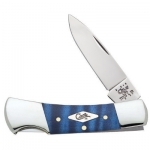 Dyed bright blue and accented with Nickel Silver Bolsters, these cool, curvy knives have Case Diamond Shields and Tru-Sharp™ surgical steel blades. 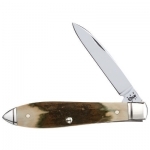 Beautiful Peach Seed Jigging gives this Hunter Green Bone Handle a distinct, hand-crafted feel. 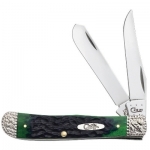 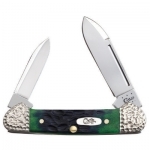 The deep green color strikes a stunning contrast with the Hand-Worked Nickel Silver Bolsters, Case Oval Script Shield and stainless steel blades. 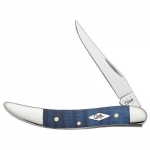 Available in six patterns, each limited in production to just 250 pieces. 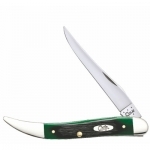 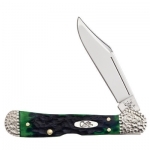 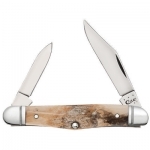 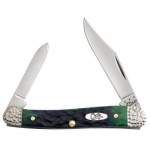 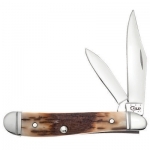 The Hunter Green Bone Knife Family is available at Townsend Shopping Center!